Mustachian Post - Back to school: blog in French, local tourism, and a financial milestone reached! 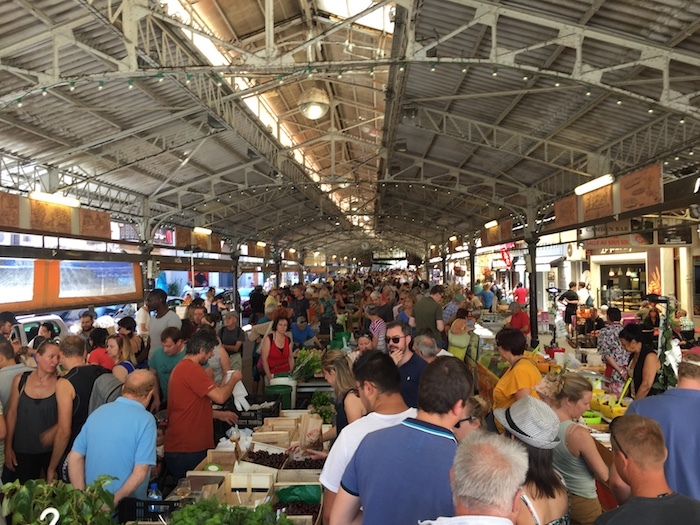 Back to school: blog in French, local tourism, and a financial milestone reached! Here I am, after almost three months of silence. A one-month break in summer can be very appreciable, but a so long break was long and boring because of the lack of creativity. You missed me dear readers! The French translation of the blog is completed! For those who did not follow, and believed that this blog was abandoned, I reassure you that it's not the case! I was simply translating all my 98 articles into French. And that's it, after 80 days of intense work, it's completed. In any case, I am glad that all the Romandy has access to the full content of the MP blog in French! Now you no longer have any reason not to share your favorite Mustachian Post articles with your uncle or cousin who does not understand anything in English! Apart from these studious weeks, this summer was synonymous with local holidays - at least with no airplanes nor Canada. 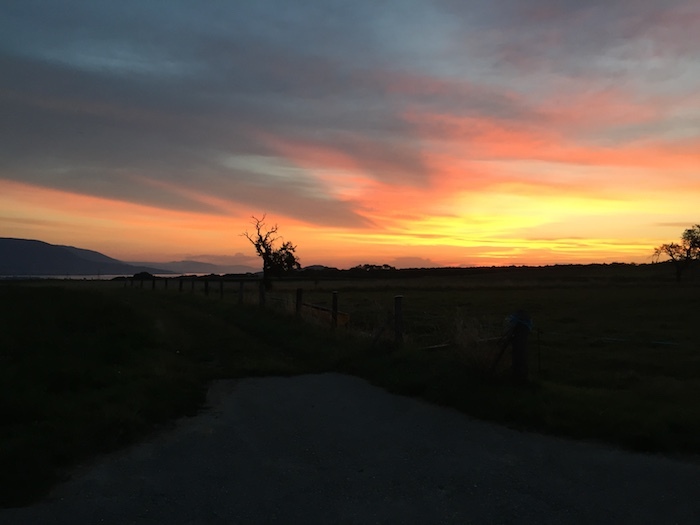 Knowing that we went away last winter, and that we plan to have long haul holidays in 2018, our budget forced us to play the local and frugal tourism card. Concretely, that means going from 5-7kCHF for a family of 4 on vacation in Quebec, to a few hundred CHF for gas and restaurants as we stayed here in Switzerland! And frankly, it's good to enjoy your own home, and to discover surroundings that one never takes the time to visit. We started the season by a few days in the south of France in the region of Antibes where we had a wedding. It was then time for a large family gathering where we met a lot of cousins ​​that we had not seen in a long time. That reminds me this TEDx talk where Robert Waldinger explains the secret of what makes a beautiful life: having good relationships with loved ones, focusing on quality rather than quantity. Even if I tend to be lonely as an INTJ, I assure you that this Waldinger guy is right, and that it is necessary to cherish these moments spent with your relatives. The month of August was much more local as we took the opportunity to discover or re-discover spots close to our home. 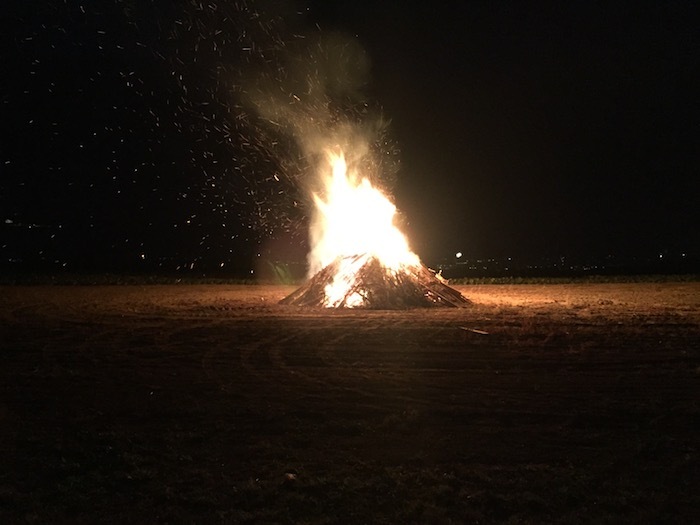 We began by celebrating the National Day in our new village with a superb summer evening where we had a good Swiss fondue, sprinkled with fireworks. We had such a good time on the balcony that around 10pm, we went down to see the bonfire closer, and the fireworks of the big cities around - the kids were like crazy to be able to go to sleep later for once! Liking all what looks like Canada, the Jura is a good substitute with its rolling hills dotted with forests. 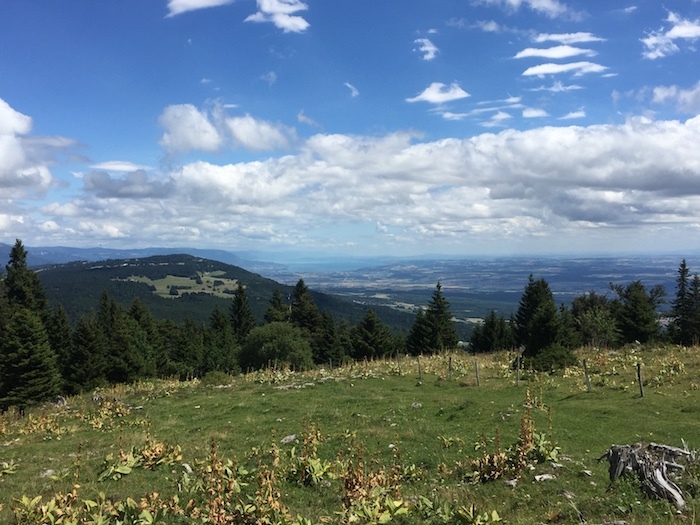 We improvised a walk from the Col du Marchairuz one Sunday late in the morning to enjoy a picnic overlooking the Neuchâtel Lake. Everything was top notch: spending time with family, being in the middle of the wild, having a sunny weather but not too hot. The only thing we did not expect was the wind at the top, which made us shorten our meal and take refuge at the alpine restaurant of the Pré-aux-Veaux. Sheltered from the fresh air, the back in the sun, around a good coffee, it was pure happiness! 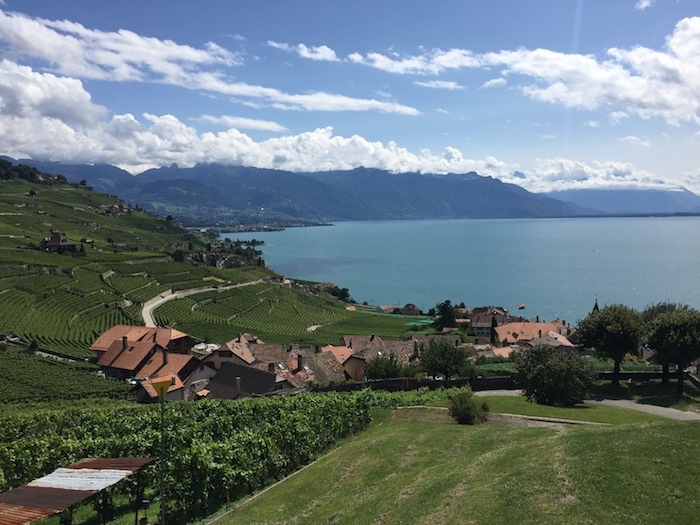 Another place that we knew but that we had never taken the time to visit was the Lavaux and its vineyard slopes. I'd read an article from my friends at Novo-Monde which inspired me, and I can tell you that we didn't regret the trip. It was splendid between the view on the lake, on the Alps, and on the mixture of the green of the vineyards and that of the surrounding trees; it does not surprise me that the site is listed as UNESCO World Heritage! 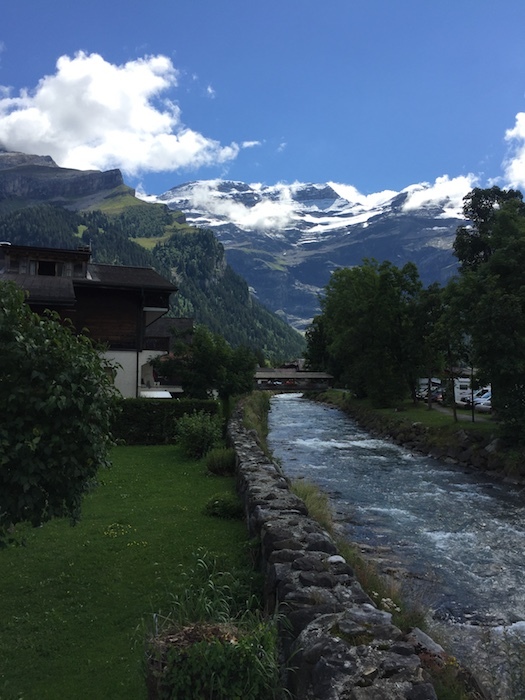 Last touristic element of this back-to-school blogpost: les Diablerets. I had often heard about it for its ski resort, but had never had the opportunity to go there in the summer. I can only recommend it. River, fir trees, snow-capped peaks, clean air, and ... a great alpine film festival with the FIFAD. That's what brought us to this place perched at 1,160 meters above sea level, as I wanted to see the world premiere of the documentary "Passion Alaska", a work I recommend you for its simplicity and authenticity, and of course for its sumptuous far north landscapes. The author and main actor Nicolas shares his vision of life in communion with nature, far from the frenzy of an increasingly connected world. However, he does not deny any technology as the Amish do, using for instance a solar panel for electricity, or a Ski-Doo instead of a pack of dogs. A return to the source that has something minimalist, and Mustachian with its anti-consumerist vision that focuses on the essentials. A large bowl of fresh air! MP family reached a financial step! And to finish on a monetary note, I have a good news to share with you: that's it, we are quarter-millionaire, i.e. we crossed the CHF 250'000 mark of net worth! We are already looking forward to the next milestone which means to cross the 500kCHF mark, where we’ll afford a good gastronomic restaurant worthy of the name to celebrate it! So far so good for the MP fresh news. I hope that on your side, you also had a beautiful family and frugal summer? Or have you gone to exotic places? ← "How to buy my first home in Switzerland" guide | Step 11 - Enjoy!